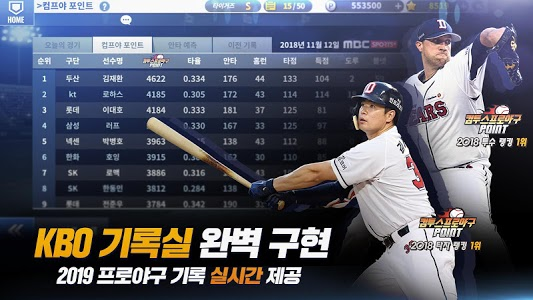 No.1 Korea baseball game of 17 years history! 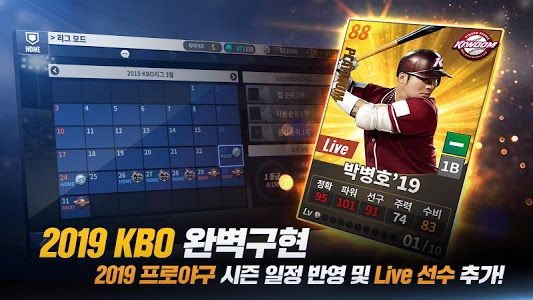 Com2uS Baseball 2019 Major Update! 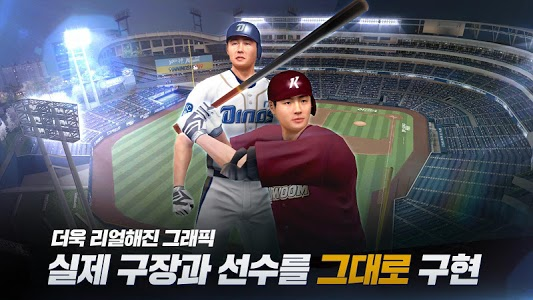 - Mobile baseball's strongest! Meet the Comfy series boasts of ultra-realism in 2019! # Fantasy lineup mode added! - The end of the predicted baseball king! 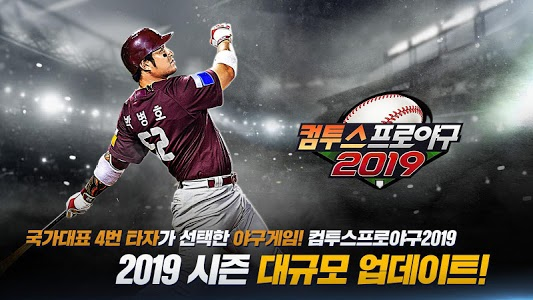 - Predict the performance of KBO players for the 2019 season and create your own fantasy lineup! - You can acquire various items with live players in 2019 with the coins acquired through the fantasy lineup. 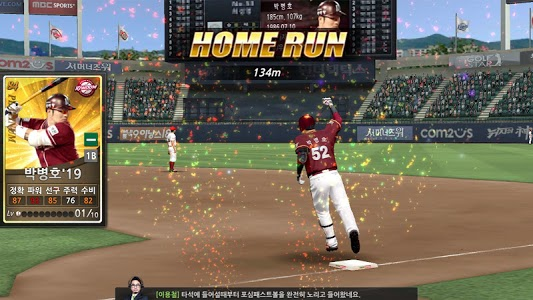 # Make the most realistic baseball game! - Keep the strike form and pitch form of active players and retired players! - Duck-out with a realistic feel of the waiting player implementation and spectator quality! # 2019 The season is new! 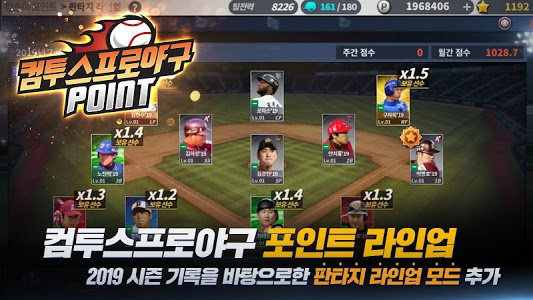 - Professional baseball New season UI has been improved with convenient renewal of the UI, making club management more convenient. # Club action PLAYBALL !! - Fierce competition for the best club! - Challenge your club for honor! # The completion of the strongest reality! KBSN Yong-Chul & Kang Sung-chul Combi's commentary on luxury! - It is realistic to watch TV broadcasts through more than 5000 kinds of messages! Please turn on the sound ★! # Special Collaboration 'Norazo' With their last project OST 'Whirlwind', even more exciting! - Storage space: Change the profile image for hive members and save / load game screen. - Device information: Used for in-game events and compensation. - Address Book: It is used to use friend list synchronization for hive members. ※ Even if you do not agree with the permission of the optional access right, you can use the service except the function related to the right. ※ Galaxy S2, Optimus LTE2 and other low-end terminals may not play smoothly depending on the amount of memory used. Please close other apps as much as possible. • This game allows you to purchase partial pay items. Partial Paid items may incur additional costs and may be subject to withdrawal depending on the item type. • Terms related to the use of this game (such as cancellation / subscription withdrawal) can be made in-game or through the Comutus mobile game service terms and conditions (available on the homepage, http://terms.withhive.com/terms/mobile/policy.html) Can be found at. • If you have any questions or comments regarding this game, please contact us at http://www.withhive.com> Customer Center> 1: 1. 극강 리얼리티를 자랑하는 최고의 야구 게임!